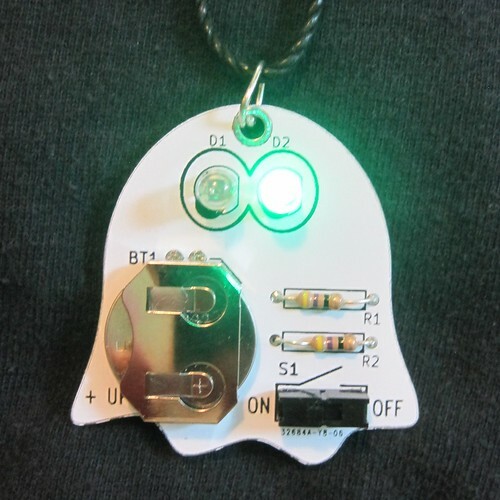 Light up your Halloween with the flashing green LEDs on the ghost kit. 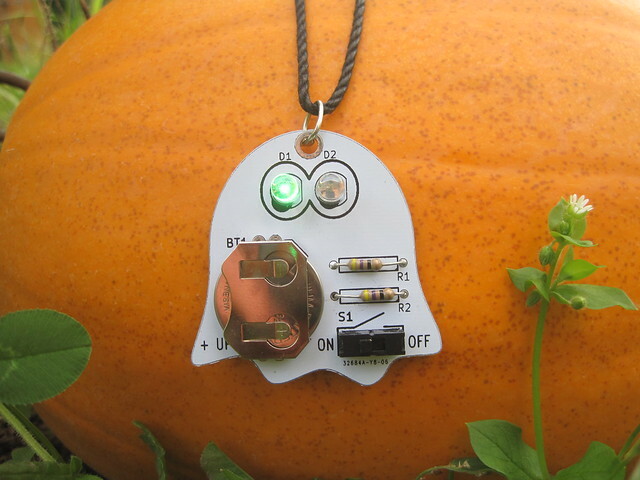 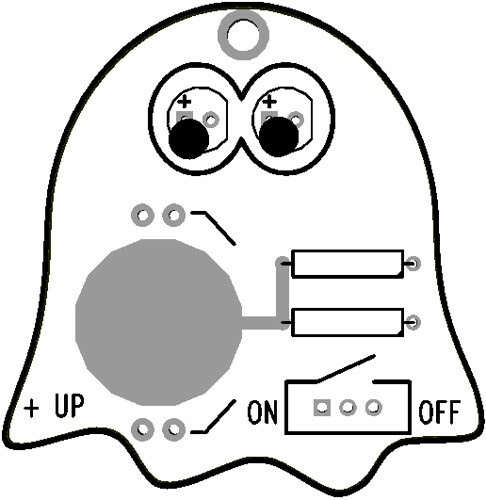 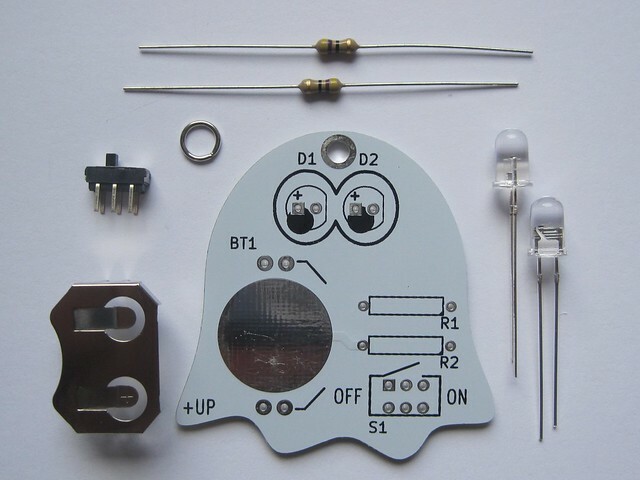 The ghost PCB makes a great decoration and also works as a safety necklace for Halloween night trick-or-treating. 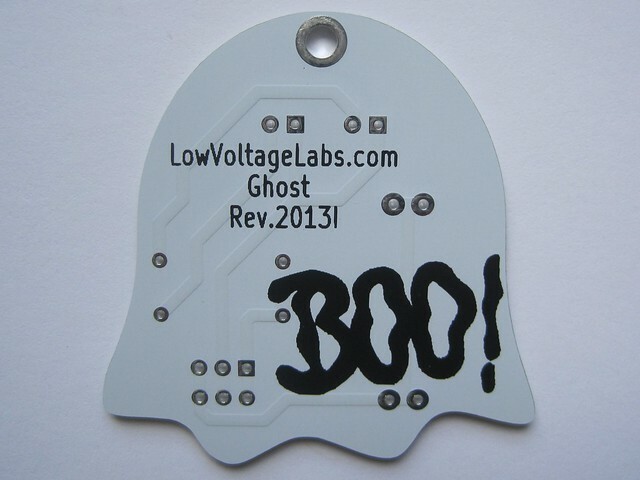 Powered by a standard 2032 coin battery.